In a series of Q&A’s, IAVA is sharing what #VetsRising means, and is, to our members. 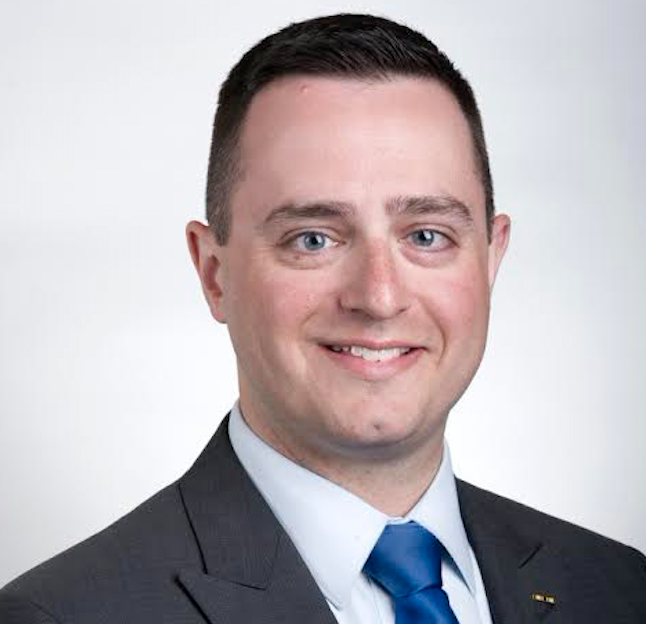 Meet Andy McCarty, a U.S. Air Force veteran who resides in Boston, MA. 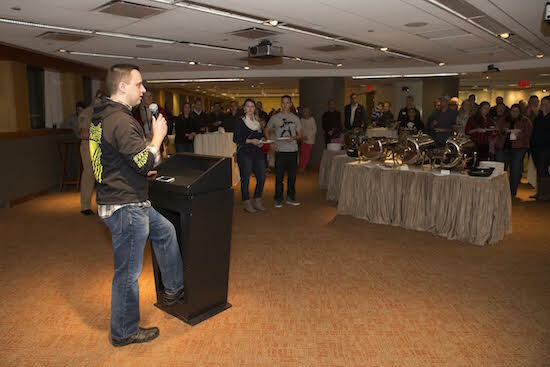 I attended the 2014 IAVA member survey release event in Boston a couple years ago. IAVA’s CEO and Founder Paul Rieckhoff was there to explain the results, and I thought it was great that we could finally start having substantive conversations about my generation of veterans. And, conversations that were now informed by real data rather than anecdotal evidence. That year, the number one priority that emerged from the survey was veteran suicide; employment came in second. I was crafting an initiative at work that centered around veteran employment and asked Paul if he saw any correlation between this issue and veteran suicide. “Absolutely,” he told me. Employment offers a sense of purpose and community, and the loss of these two things can really impact a person’s sense of self-worth. My conversation with Paul was brief, but it gave a deeper sense of importance to the work I do. Continuing to be engaged with IAVA is another way to keep reminding myself of who I’m here to serve and why. You are the founding director of Northeastern University’s Center for the Advancement of Veterans and Servicemembers (CAVS). What kind of work does CAVS do and how do you see organizations like IAVA supporting your efforts? I’m truly blessed with one of the best jobs I could ever ask for. Northeastern has continuously encouraged me to be creative with the ways in which we support veterans and help them reach their goals. A couple years ago, veteran unemployment rates were abysmal and sometimes double that of civilian peer groups. Northeastern has the No. 1 career development office in the nation as well as a network of 3,000 employer partners all over the world. We’re also the world leader in cooperative education and experiential learning. When I asked myself, “Where can NU have the greatest impact,” the obvious answer was employment. CAVS takes the full force of our existing career services and places a special focus on the veteran population. It also provides us the opportunity to be creative and try new things. We seek to be the model for how industry and education interact to produce the best outcomes for student veterans. IAVA helps us tap into different communities around the nation. I enjoy hosting VetTogethers when I’m visiting our graduate campuses in Seattle and Charlotte. My knowledge of VA education benefits means I can answer a lot of questions that vets may have about going back to school. And IAVA helps us bring veterans in from the margins. That’s really the best part. I always meet one or more veterans who don’t feel a part of any community, and these events help change that. We’ve also hosted a few speed-networking events that pair veterans and employers together. These have been very successful, and they benefit all of the parties involved. Tell us about your involvement with NAVPA, the National Association of Veterans’ Program Administrators. How does its work benefit the veteran community? NAVPA is an organization of higher education institutions and individuals involved in the operation of veterans’ affairs programs and/or the delivery of services to veterans as School Certifying Officials (SCO) across the country. I was elected to the NAVPA Board of Directors two years ago. The organization is vital to the accurate and timely processing of VA education benefits. Our members are at the front lines of college and university campuses; they help educate student veterans about their benefits and they work directly with the VA to ensure that students get what they’ve earned. NAVPA also has a strong voice on Capitol Hill where we lobby on behalf of student veterans. That may involve testimonies on the importance of maintaining the status of certain VA education programs. We also raise the alarm when there are processing delays and errors, or when new legislation will negatively impact students and the institutions they attend. Actions speak louder than words, and this is no exception. I’ve hosted VetTogethers where I’m able to introduce a veteran to an employer and they make a connection that results in employment. In Seattle, I met a woman who leads a team of dentists wanting to offer free dental services to veterans and I paired her up with Josh Wheeldon, an IAVA member who’s deeply involved in the local community. Sometimes it’s something nonverbal like a veteran’s body language when he/she first arrives. They look unsure and maybe even a bit uncomfortable. But then you say hello, ask what branch they were in, where they served, what they’re up to now, etc. You introduce them to some of the other veterans and check back with them a few times throughout the event. Their body language totally changes and, by the end of the night, they’re already making plans to meet up with people they just met. Knowing I played a part in orchestrating that is a pretty incredible feeling.